Water main breaks seem to be happening with alarming frequency lately in the United States. The age and condition of water infrastructure is becoming a matter of great concern throughout the nation. The American Society of Civil Engineers estimates that New Jersey’s drinking water and wastewater infrastructure will require over $40 billion in upgrades over the next 20 years. The City of Newark is one of America’s oldest cities. In recent years, it has experienced a steady increase in water infrastructure challenges and problems. City Council members were being contacted often by residents with water line issues, and we were growing increasingly concerned about citizens who may experience financial hardships from water line repairs. Approximately two years ago, after a rigorous search process, Newark made the excellent decision to offer the National League Cities (NLC). When a water line breaks, the homeowner is generally responsible for the portion of the line from the house to the water meter, called the “private-side” and the City is responsible for the portion of the line from the water meter to the water main, called the “public-side”. When private-side service lines break, many homeowners call the City or Water Utility first, and then are surprised to learn that the City can’t help solve this expensive problem. Newark homeowners have been enthusiastic about the warranty program, and those who have had claims have been extremely satisfied with the service they have received. To date, Newark homeowners have saved over $350,000 in repair costs. We have also been given positive feedback from citizens who have not chosen to purchase the warranty but still appreciate the City providing information. Educational marketing about homeowners’ responsibility for service lines is a key component of the program. Residents receive information about the program via direct mail, bill inserts, and through digital media. Program materials are available in different languages, which has been very helpful to our ethnically diverse population. In addition to Newark, other New Jersey municipalities, including Cliffside Park, Washington and Plainsboro offer optional, low-cost water and sewer line protection to their residents through the NLC Service Line Warranty Program. There are currently 2,400 New Jersey residents participating in the program. Aside from the financial hardship, many homeowners don’t know who to call to repair a water service line, especially in an emergency, when time is of the essence. An important benefit of the repair service plan is immediate access to fully-vetted local contractors with just one toll-free phone call. Furthermore, while there is no cost to cities or utilities to participate, the program helps cities generate ancillary non-tax revenue. Cities use these funds for many purposes that benefit residents. Newark homeowners have found the National League of Cities Service Line Warranty Program to be extremely beneficial. Residents have expressed their satisfaction to me on multiple occasions. In each instance homeowners were grateful for the protection and service that the program provided. I would encourage all cities to consider this program. If offers homeowners an affordable solution to a growing problem. I believe legislators should certainly explore implementing services that will resonate with their communities and make life better for their citizens. 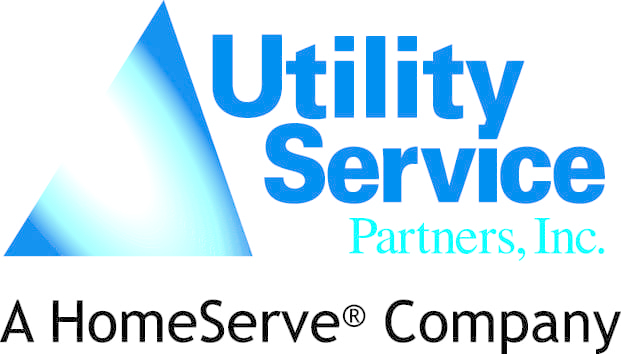 For more information of the National League of Cities Service Line Warranty program, please contact partnerships@utilitysp.net or 866-974-4801. This article was originally produced in NJ Municipalities, a publication by the New Jersey League of Municipalities and has been posted with their permission.